The Arkitex Studio Inc. is excited to announce the recent professional licensure of Pamela da Graca, now a registered architect in the state of Texas. We are very happy for Pamela and proud of this accomplishment! Pamela graduated with a Masters of Architecture from Texas A&M University in 2009 and joined The Arkitex Studio in 2010. During her time here, she has been an important contributor to many projects, including the Texas A&M Schubot Exotic Bird Aviary Research Center, St. Thomas Episcopal Chapel renovation, new St. Thomas Early Learning Center, and many other projects. 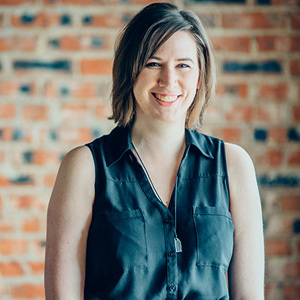 In line with her Certificate in Sustainable Urbanism and Historic Preservation, Pamela maintains an interest in historic preservation, as seen in her work on the phase 1 restoration work for Temple Freda in downtown Bryan. Becoming a licensed architect is not for the faint of heart. This process requires not only a professional degree from an accredited institution, but also completing nearly 4,000 hours of intern development training hours and passing 5 separate examinations. Studying for exams must be done before or after a full work day, which in a busy office may exceed the usual 40 hour work week. Commitment and dedication are the keys to completing this arduous process. Please join us in congratulating Pamela!